Fall is here. 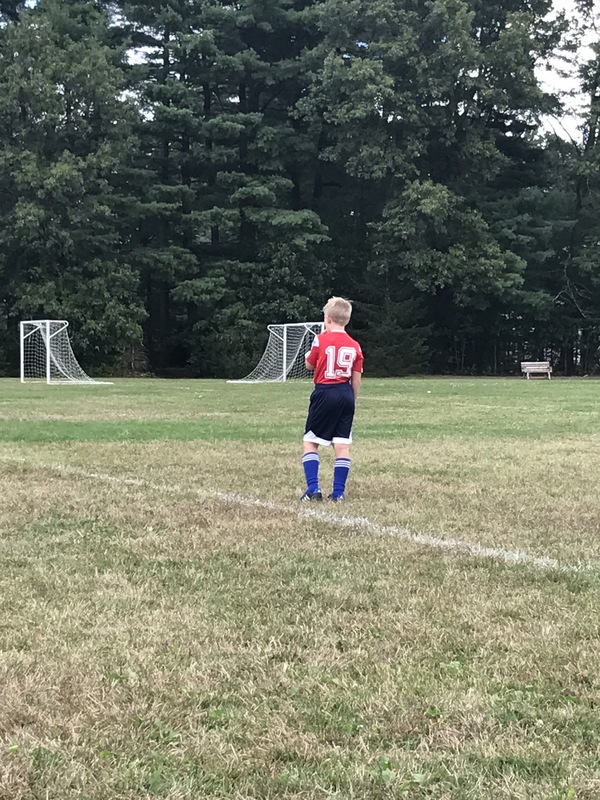 As a mother of three active boys, that means it’s time to pull out an extra large blank calendar and commence the daunting task of figuring out how to get each boy to and from a growing list of after-school sports practices and games. I’m a sports medicine doctor. Before kids, I would lecture parents on the importance of limiting young athletes to one sport per season, and avoiding year-long sports specialization. Now, I’m choreographing my family’s Fall sports schedule and it’s looking to be less a dance and more a mad sprint across Eastern Massachusetts. How did we get here? How did I get here?? My mind is well aware that kids need down-time after school. They need to explore and play with friends and learn the social lessons that come with navigating a neighborhood kid hierarchy. I know that rushing them from activity to activity and feeding them dinner out of a piece of tinfoil in the backseat of our car is no better for my kids than it is for my GMC. But mostly, as a sports medicine doctor, I know that playing multiple sports per season and specializing in one sport all year is not healthy for my boys’ bodies. I love my job. I spend my days helping young (and less young) athletes get their bodies healthy so they can return to the sports that they love. You might think that my schedule is full of broken bones and torn ligaments, and you’re right. But I actually see more nagging injuries – the ones that don’t happen from falling off of a skateboard or colliding on a soccer field. In fact, these “overuse” injuries occur at alarmingly high rates. Injuries like Osgood-Schlatter disease, Sinding-Larson-Johansson syndrome, Little League elbow, Sever’s disease – they all hide behind fancy names, but at the end of the day they happen because a lot of our kids are spending too much time running, catching, swimming, and dancing. It is the rare parent of an athlete in my geographic area who hasn’t heard of the dreaded “Sever’s Disease.” That’s how common it is, especially in boys. Sever’s disease, like many of the conditions I listed above, is an overuse injury to the tiny growth plate in a bone where a major tendon attaches. This growth plate is called an “apophysis” and the condition when the growth plate is inflamed is called “apophysitis.” In the case of Sever’s that bone is the calcaneus (heel bone) and what attaches there is the Achilles tendon. This growth plate is “open” from around 8-13 years of age, depending on the child. An open growth plate is generally the weakest link and therefore most susceptible area to overuse injury. After the apophysis closes, it becomes stronger and the athlete’s tendon is more likely to sustain overuse injury (which is why we weekend warriors get tendonitis and our kids generally don’t). As children undergo growth spurts, their bones grow quickly and their muscles and tendons are forced to lengthen to catch up. This adds to the stress on the apophysis. Sever’s disease is most common in kids who are running a lot and pounding on their heels in either poor footwear (e.g. cleats) or no footwear (e.g. gymnasts). The treatment involves rest, stretching of muscles, and some strengthening, but ultimately the condition does not completely resolve until the growth plate closes around age 12-13. A recent study in the American Journal of Sports Medicine found significantly higher numbers of lower extremity injuries reported by high school athletes who specialized at a sport early compared to those who did not. So, playing year-long basketball may not be the best way to keep your young athlete on the courts. In a consensus statement, the American Orthopaedic Society for Sports Medicine concluded that “there is no evidence that young children will benefit from early sport specialization in the majority of sports,” given the risk of overuse injury and burnout. These are two pretty powerful statements from researchers and physicians who take care of a large number of high-level athletes. The question I grapple with as both a mom and a sports medicine doctor is – how do we change? It’s not always easy to identify whether or not your child is specializing too early or doing too much. If you’re pulling her from one practice to rush across town to another, that may be a hint. Or if your Summer vacation time has been hijacked by club tournaments, it may be time to re-evaluate things. I’m right there with you. Right now I’m trying my best to listen to what my kids want. One child plays lacrosse all-year and the other is playing basketball, soccer, and lacrosse in one season. He’s 8. I had to say no to flag football, although it broke my heart (it’s my favorite sport to watch). It’s hard to hold your kids back from something they love, but I think it’s time that we ask ourselves what is best for them in the long-run. It will take a concerted effort by a large group of parents in each locale to change the way youth sports have pushed kids to specialize too early and do too much. Nice job Jess, of pointing parents in the right direction with specific medical info to show the problems kids will face and hopefully the conversation will get started that this is not healthy for children. I think it’s a slippery slope. On the one hand I’d really love for the schedule to be lighter, especially during the in between season when hockey/ringette isn’t done yet but baseball off season has already started. At the same time, they are so happy, so used to, being in their sports, they would not be the same kid without all this activity. So the plan for us has always been to include them in the chaos: they have to do chores, they have to deal with their own equipment, they have to step up, they have to obey screen rules, etc. Otherwise, it wouldn’t work.